Kodaikanal is known for perceiving its visitor's needs and offering them everything they need for a happy and memorable holiday. But no one in Kodaikanal knows how this is done better than the Kodai Resort Hotel. This beautiful luxury resort is less than a kilometer from the town centre, at the junction of Coaker's Walk and Bryant's Park. Hidden from your view by an overgrown wall of sweet-smelling roses, Kodai resort has 50 semi-detached luxury cottages across its acre orchard-garden. Health Club, Gym, Internet/Wi-Fi, Restaurant, Laundry Facilities, Parking, Banquet Facilities, Front Desk, Smoking Room, Doctor on Call. Desk, H/C Water, Ceiling Fan, Television Room, Attached Bathroom, Dustbins. Banquet Facilities, Business Facilities, Doctor on Call, Laundry Facilities, Parking, Restaurant. 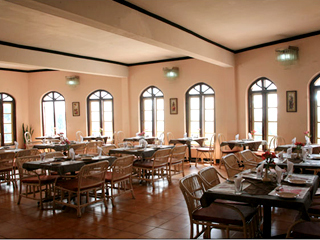 User reviews for "Kodai Resort Hotel Kodaikanal"